It’s that time again that many women dread; when the world and the men in our lives become obsessed with soccer for a whole month. Yes, it’s FIFA World Cup time, and this time it’s going to be bigger, better and louder than ever as it’s taking place in Brazil, a country that couldn’t be more passionate about the game of soccer if it tried. Brazil has won the World Cup a total of five times in the history of the competition, making it the most successful world cup nation, seconded by Italy, who have won it four times. This is the second time the World Cup has been hosted by Brazil, but the last time was in 1950 when the way it was reported was entirely different. People could quite easily get through the tournament period without hearing much about it. Now, the intense media interest around the competition will mean that we have wall-to-wall coverage of not only the games, but all the build-up, the post-match analyses etc. on pretty much whichever channel you choose to watch. So what if you’re not that into soccer? What are you planning on doing for the month of June, while everyone else you know gets behind their team? The best plan is probably to develop half an interest in the competition. It’s going on regardless; most people you know will be glued to watching its progress. If you can’t beat them, you may as well join them! The US team will play its first match against Ghana on 16 June at the Estadio das Dunas in Natal. The US is in a group with Ghana, Portugal and Germany. The team’s chances of going through to the knockout stages are slim, especially with third favourites Germany in their group. But anything could happen and they might make it through the group stage, which means interest will continue to remain high until they get knocked out. Having a bet on the outcomes of a match is one sure way to increase your interest – check out the latest on the different World Cup team’s chances at http://www.bet365.com/news/en/betting so that you can make a more informed choice about which team to back. And if you really can’t stand to sit through the matches, why not take a different tack and be involved by being the perfect host for those who can’t tear themselves away from the screen? You can keep them all supplied with snacks and drinks, and make sure the kids are occupied with arts and crafts activities in another room. 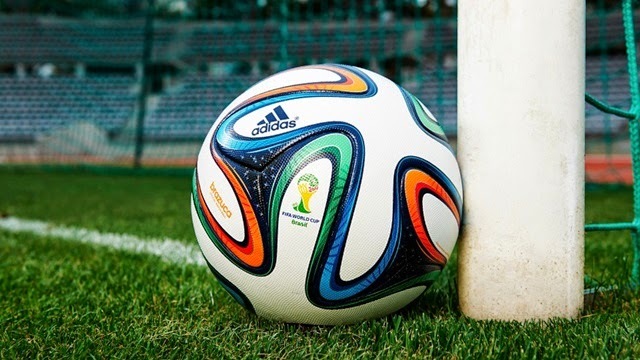 Make each match a social occasion and even though you can’t imagine you’ll get into the World Cup frenzy that everyone else seems to be in, you never know, it may just be infectious and you might end up enjoying it as much as the rest of them. This article written by Fiona Harris. A mom of two from the UK.